William Porter Acupuncture is an acupuncture clinic offering treatment in Yellowknife, NT Canada. 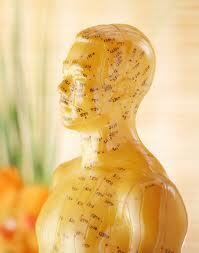 The clinic provides acupuncture in a safe, comfortable, and relaxing environment. We cater to clients of all ages including children, adults and seniors. Our services include a variety of treatment techniques that are designed to relieve the pain and stress related to day to day living, while aiding in the rehabilitation of physical injuries and ailments. The cost is $100.00 per 60 minute session. Smoking Cessation treatment is $120.00 for 3 - 30 minute sessions, booked in daily intervals. For a longer 90 minute acupuncture treatment the fee is $140.00. Payment is by cash, checque or an e-transfer and is due upon receipt of treatment. A receipt will be provided for insurance claims. We offer the highest quality of care to our clients. William is friendly and knowledgeable and cares about all aspects of your treatment. He will customize each treatment to meet your specific needs by incorporating a variety of assessment and treatment techniques that are best suited to you as an individual.